The Society for Freshwater Science Taxonomic Certification Program was implemented to certify that trained and skilled persons are providing aquatic invertebrate identifications in North America. The certification program tests a candidate’s knowledge and skills in aquatic invertebrate taxonomy and provides the successful applicant with a certificate of proficiency. The program also helps promote undergraduate and graduate training of new taxonomic experts, training of taxonomic technicians through workshops, development of new manuals for identifying aquatic invertebrates, and taxonomic excellence in other disciplines and other parts of the world. The Taxonomic Certification Program is supported by the Society for Freshwater Science, overseen by the SFS Taxonomic Certification Committee, and administered by Stroud Water Research Center. Mike Broomall is the program coordinator. 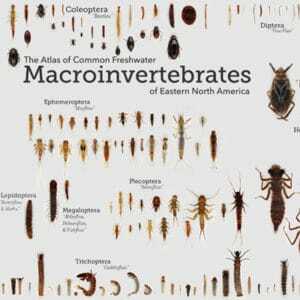 Macroinvertebrates.org is a new resource for aquatic insect identification to support citizen science identification activities. This National Science Foundation supported project brings together expertise in entomology, learning sciences, software engineering, water quality biomonitoring, and design. Stroud Water Research Center staff involved with Macroinvertebrates.org include Taxonomic Certification Program Coordinator Michael Broomall, Director of Education Steve Kerlin, Ph.D., and Assistant Director of Education Tara Muenz. Stroud Water Research Center seeks to advance knowledge and stewardship of freshwater systems through global research, education, and watershed restoration and to help businesses, landowners, policymakers, and individuals make informed decisions that affect water quality and availability around the world. Since 1967, the Stroud Center has been leading the effort to produce innovative solutions for preserving and restoring fresh water. Stroud Water Research Center is an independent, 501(c)(3) not-for-profit organization. The Society for Freshwater Science is an international organization whose members study freshwater organisms, biotic communities, physical processes that affect ecosystem function, linkages between freshwater ecosystems and surrounding landscapes, habitat and water quality assessment, conservation and restoration. SFS fosters the exchange of scientific information among its membership, and with other professional societies, resource managers, policymakers, educators, and the public. SFS advocates for the use of best-available science in policymaking and management of freshwater ecosystems. Learn more at https://www.freshwater-science.org/.